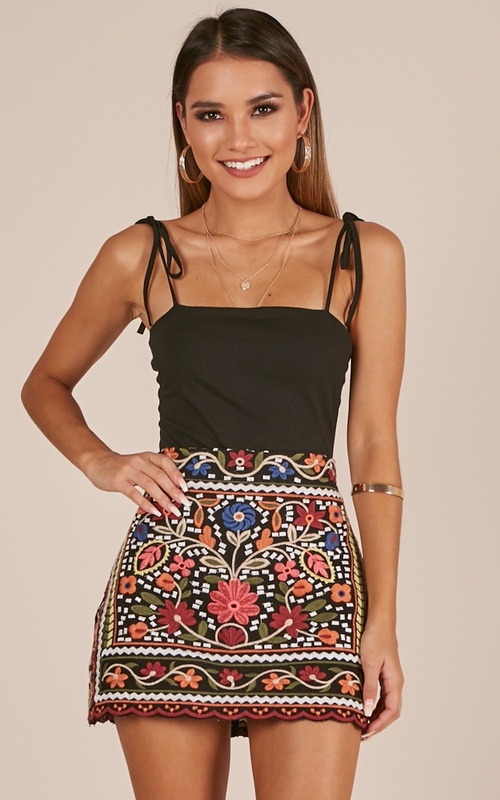 This skirt is the perfect summer statement - dressing to impress has never been easier. 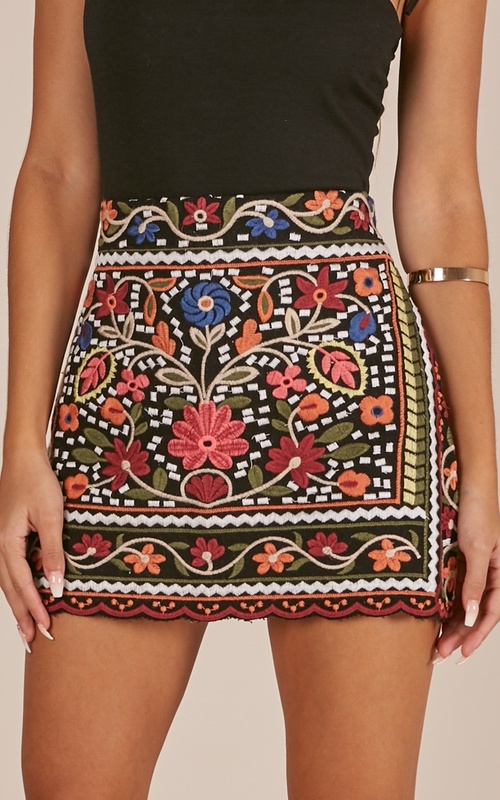 The gorgeous embroidery is perfect for a day out or for some festival fun. Not only was my skirt poor quality but it is too small. 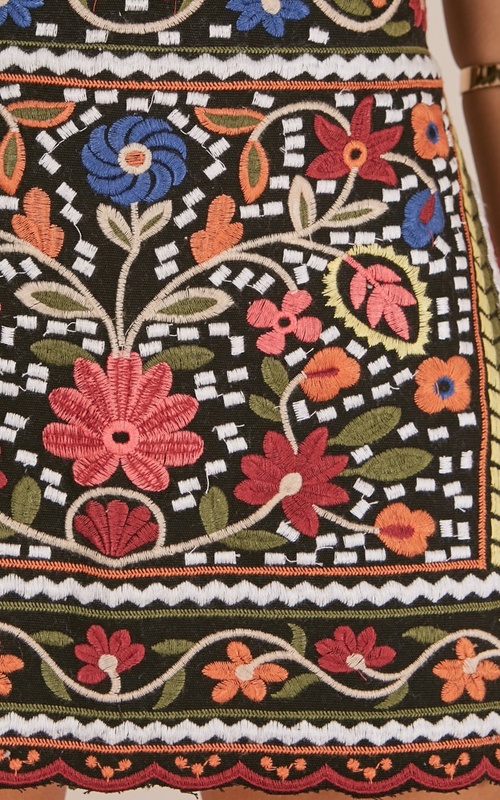 The embroidery is freying and in some parts look deliberately cut and torn. So either the items are from the same manufacturer and Showpo have upped they’re pricing or something else dogging is happening. This skirt is made so cheaply, yet it's sold for $75?? The ends are frayed, the zip is broken, the material is cheap, don't waste your money. 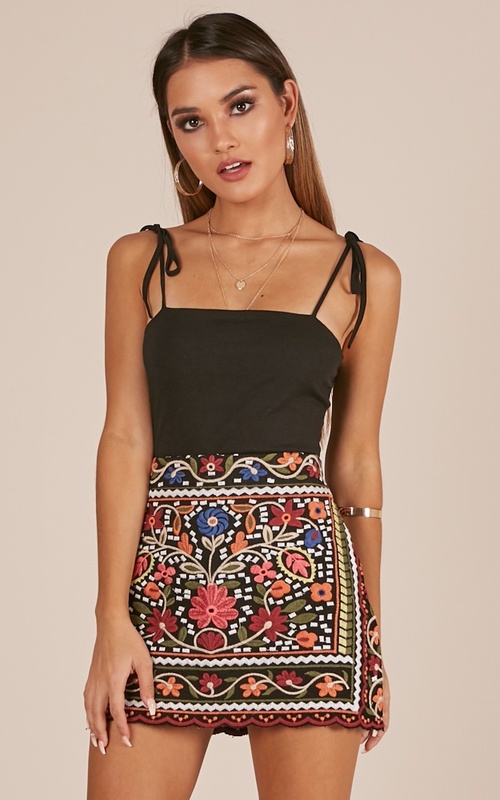 I ordered a size XL and when comparing it up against other skirts I own I would say it is more like a size 8 or 10, I showed my friends and they agreed that this was not near a size 14/ XL. When I emailed Customer Service I received a very generic, copy-paste reply. Beautiful Skirt! It is very cute and made from thick material. It is very short (above finger tip length) and fits tighter than expected. I would suggest getting a size up. I got a size 6 american and I'm 5'6, 130 pounds.